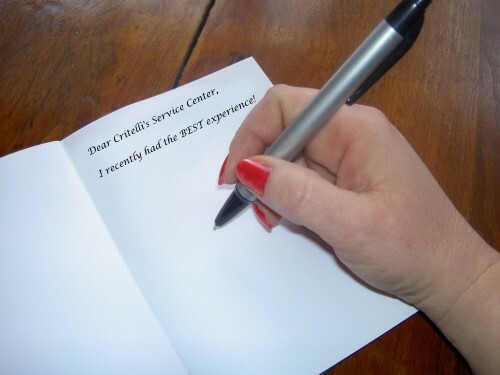 Critelli's Service Center has had many satisfied customers! Below is a small sample of the reviews we have received from some of our clients. These guys are great! They plugged my tire no problems. They're always nice and always willing to work with you! I got my car serviced here monthly and as needed, Paul Critelli is the nicest and most generous persons you can meet. His prices are very resonable i would never go anywhere else!! A friend told me about Critelli's and I have been going there ever since. Paul is the nicest person. He does excellent work at good prices. I highly recommend using his service. These guys are great! My family has been taking our cars here for years. They always do the right job the first time for a great price! I recently moved and am now 40 miles from Critelli's yet they are so good that I gladly drive that distance to get my car replaced by them! Paul is an awesome guy to do business with. He will NOT sell you a repair you don't need. Do not hesitate to call him.